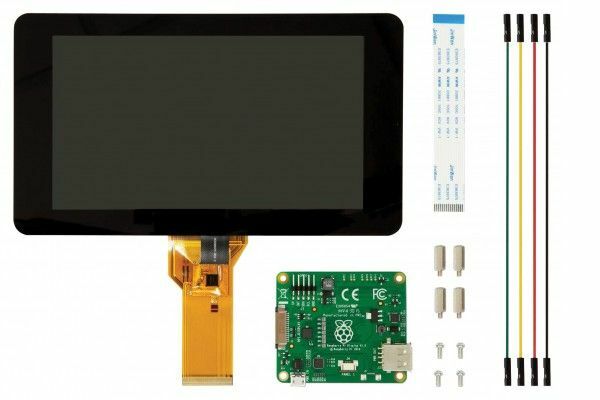 • 7” Touch screen Display. • 10 finger capacitive touch. • Connects to the Raspberry Pi board using a ribbon cable connected to the DSI port. • Adapter board is used to power the display and convert the parallel signals from the display to the serial (DSI) port on the Raspberry Pi. • Will require the latest version of Raspbian OS to operate correctly.